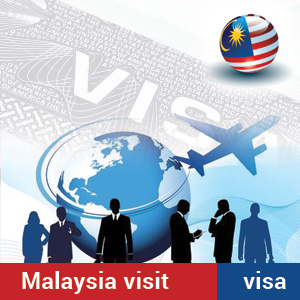 This entry was posted in malaysia and tagged Malaysia visa exemption countries Malaysia visit visa Malaysia visit visa requirements on May 24, 2014 by Blog Author. Malaysia is located in South-East Asia and is ranked as the 9th most visited place in the world. Citizens of certain countries do not require a Malaysia visit visa to travel to Malaysia on a holiday or social purpose. However, it is advised to check whether the individual falls into visa exempt nations or not. If individuals are not exempted from having a visa free travel then they have to apply for a Malaysia visit visa from their country of residence. Individuals, who are exempted from the visa free travel, will receive a permit to reside for a definite period in Malaysia based on their country of origin. ​Foreigners willing to visit Malaysia must obtain a Malaysia visit visa. They must acquire a visa from one of the diplomatic missions of Malaysia, except if they come from any of the visa exempt nations under Malaysia visit visa requirements. Visitors travelling to Malaysia under Malaysia visit visa requirements must possess a passport that is valid for a six-month period. 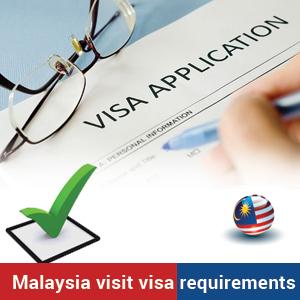 Applications for Malaysia visit visa have to be made at the Malaysian representative office that is nearby. Indian and Chinese applicants can file their applications online through I-visa system. If the approval of the visa is through High commission of Malaysia, then it is termed as a visa application without reference. Visas that are approved after the application is referred and approved by the immigration department of Malaysia or other authority agencies are termed as visa applications with reference thesea re Malaysia visit visa requirements. UK, USA, Canada, France and Germany are some of the countries among the Malaysia visa exemption countries exempt nations whose citizens will receive a permit to stay for 90 days. Singapore, Thailand and Greece are some of the countries among the Malaysia visa exemption countries whose citizens will receive a permit to stay for 30 days. Macau and Palestine, Libya are some of the countries among the Malaysia visa exemption countries whose citizens will receive a permit to stay for 14 days. For More information on Singapore visit visa, please fill out MoreVisas Enquiry form, and also follow us @ Facebook, Twitter,Google+. ← How to get Austria Red White Red card?